As if the build up to Christmas could be any more exciting?! Lovely bright colours and a cheery face - children will love him! Fabulous large wooden Christmas countdown block to keep track of the days until 'lift off'! 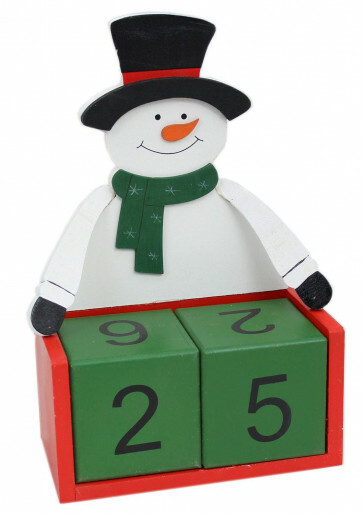 Makes a terrific feature in a child's room or on the mantel for everyone to see. Simply rotate the numbered blocks every day. Great to use year on year and a wonderful Christmas decoration to boot.